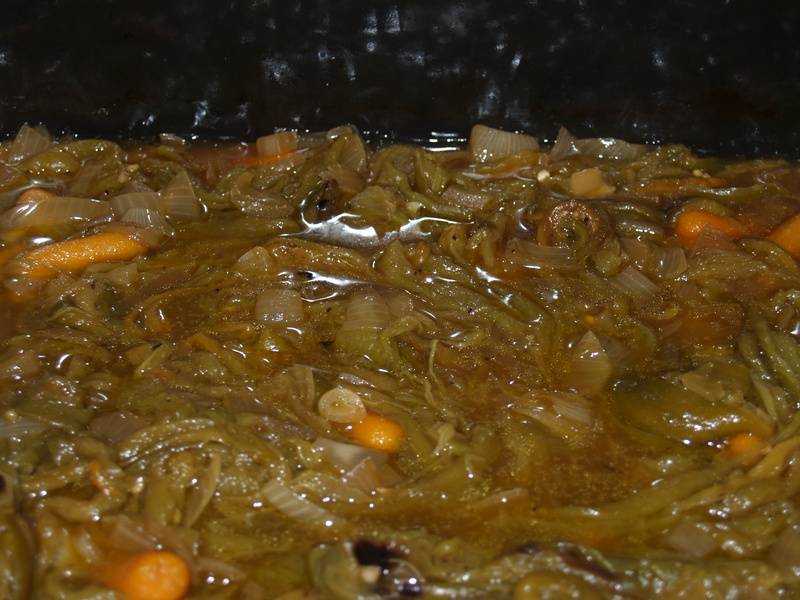 Did you know that it is almost Hatch Green Chile time? 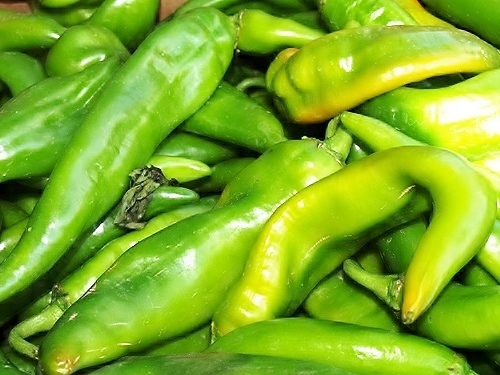 Hatch is the name of a town in New Mexico and they grow the most incredible green Chiles in the world. The Chiles are harvested during August and September each year. There is even a festival dedicated to celebrating the harvest of this wonderful pepper. 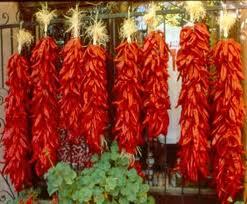 You may be familiar with the red Chile Ristra used for decoration and seasoning throughout the world. Look in the Tutorial tab on the right for a detailed description of how to roast, peel, deseed, devein, and prepare for cooking. Yep, 160 because my daughter thought a flat of peppers was actually a case of peppers so she had her husband buy 2 cases – that’s a little more than 2 bushels!! Just in case you are wondering, right now I am sick of smelling, eating, and looking at Hatch Chile Peppers. 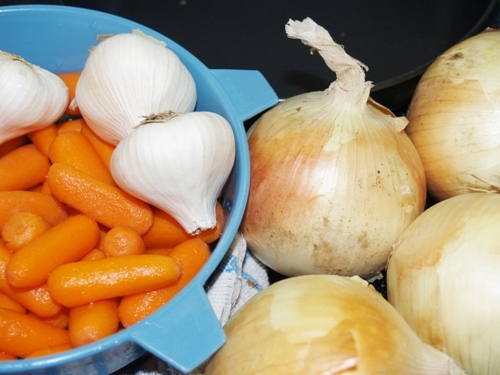 I used a bag of small carrots, 4 large onions, and 4 heads of garlic – and I didn’t really dice or grate any of it. 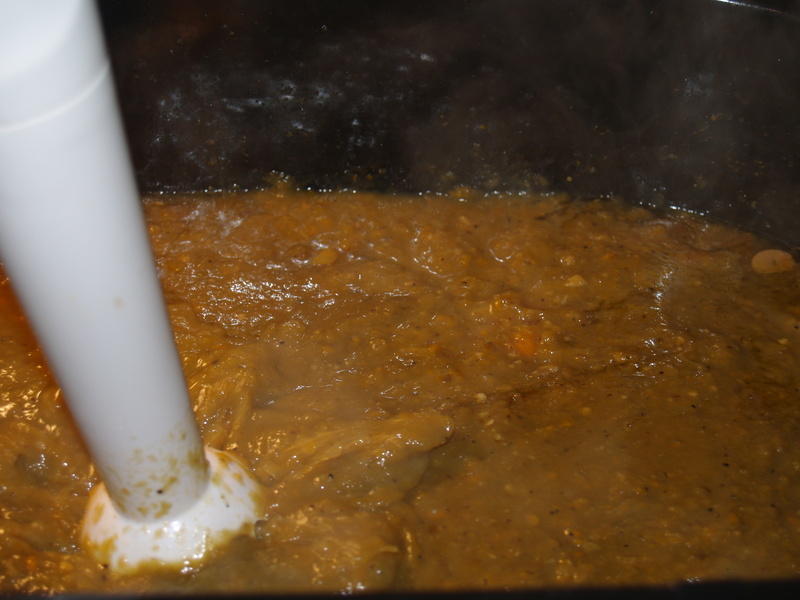 Instead of chicken stock, I wanted it to have a deeper more complex flavor so I used some duck stock (equal to 20 cups) I had made back when I prepared my yearly gumbo – that also served as the oil I was going to use. 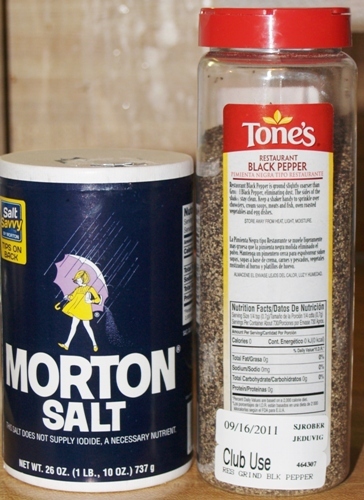 Salt and regular pepper of course and I used about what Dave’s recipe called for because we aren’t big salt people. I pulled out my handy dandy brand new bought-for-$8-at-a-yard-sale roaster and dumped it all in. I turned the roaster to 200 F degrees, put the lid on, and ran out the door to the dentist. I returned five hours later and this is what it looked like. 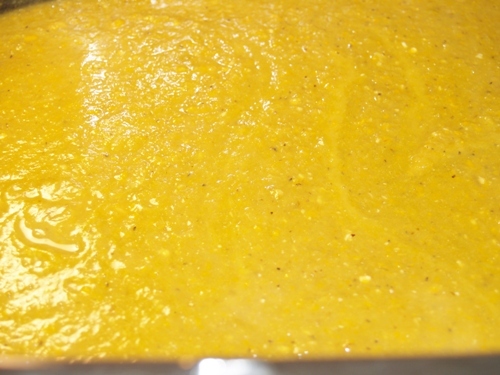 I began using the emersion mixer to puree the whole thing. 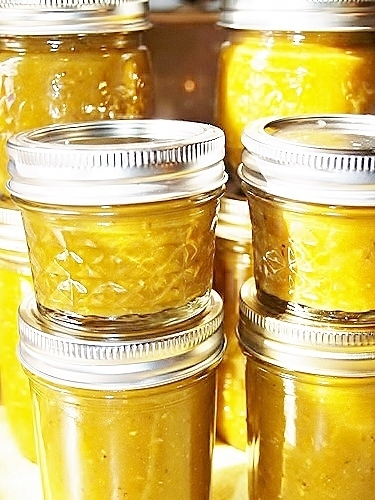 Then I ladled it all into different sized jars for different uses, eventually equaling twenty ½ pints. Then I processed them in the pressure cooker according to my cooker’s directions and this is how they looked when it was all finished. It took three full days of Top Girl and me working together, but we got it done and while there is another full bushel of peppers to be worked up waiting patiently for us in freezer bags, Top Girl, Lawyer Boy, and Mr. Picky-eater will have all the green Chile they want this winter for homemade enchiladas, burritos, tailgate dips, and Chile Verde. 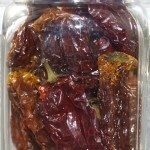 There are still plenty of Hatch Chile Peppers in the stores so why don’t you make some? Just take Dave’s recipe and increase or decrease it to make an amount you are comfortable with. Come on – you can do it!! BTW, these peppers were marked “Hot” on the box and even with them seeded and deveined the word “Hot” pales in comparison to the white strike of lightening that hits my tongue every time I taste them! Thanks. We eat a lot of Mexican and Tex Mex out here and a good red sauce and green sauce is very important to that. Home made is cheaper and best! We eat a ton of Mexican/Southwest as well. It’s my favorite! I’ve never attempted my own sauce, but I just might have to give it a try. One day I shall make my own sauce. 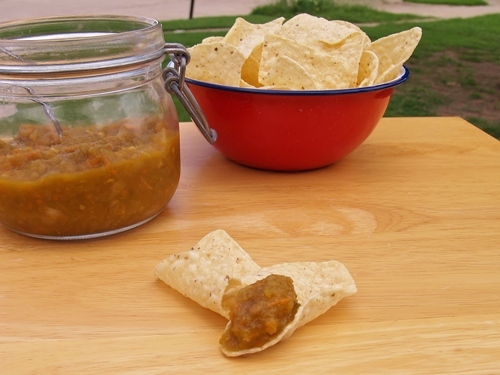 I can salsa every year – only red though (I secretly don’t like tomatillos!) and mine comes out like restaraunt style instead of really chunky. 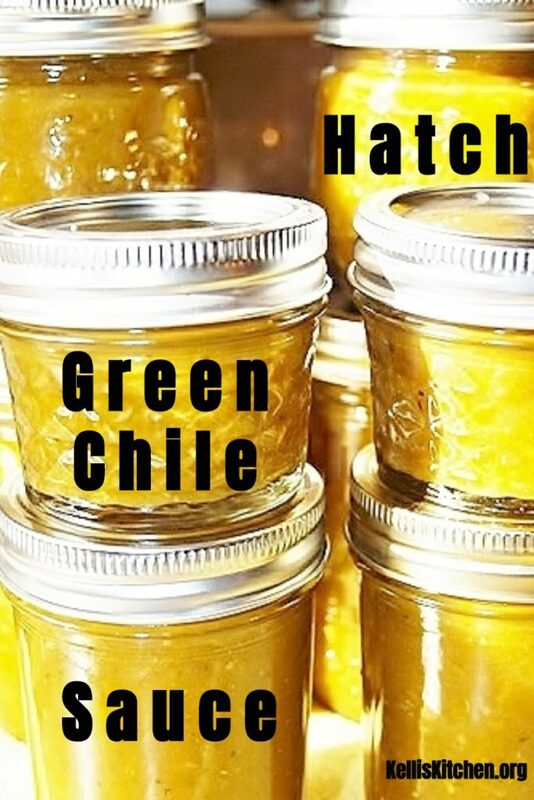 The boys love it – and I use it in red chile etc… But I’ve never used it in chicken – and in a crock pot no less! I can’t wait to see this recipe! I prefer mine to be restaurant style. I’m not a fan of tomatoes; it’s a texture thing, so I don’t like big chunks of tomatoes in my salsa. I’m weird, I know, haha. Thank you! I’ll got take a look! This looks like a yummy recipe! I love the little jars! Thank you! I use those to mix up with sour cream and make dip! How long did you process the jars? In a water bath? No, because it had duck stock in it I used a pressure canner and processed the pints and 1/2 pints at 11 PSI for 35 minutes. The little ones (1/4 pint) I processed for 20 minutes. But I don’t live in the mountains or down at sea level so I always go by my USDA chart. Oh, how I love to can and this looks like so much fun. And Delicious!!!!! Not sure if I can get Hatch Green Chiles up here in Oregon, but I’m going to take a look around. Thanks for the recipe! Great! I hope to put the tutorial on how to prepare up tonight – There were just so many pictures and steps – but totally worth it. Wow! That looks so good. 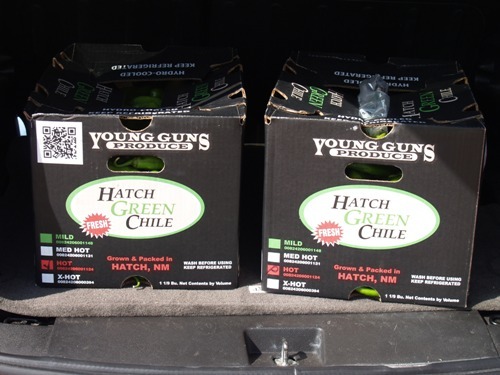 What a great way to have Hatch chiles year-round! I have so many chilies in freezer from last year, PERFECT now I know what to make. Ha Ha – Connie, I have the same thing! Did you see those 2 boxes? We were only able to do one and the others are in the freezer. My daughter and I will be doing those next weekend because we are out and have been out for some time. It’s so great in queso and on cheesy bread – thanks for dropping by and please stop again! Is it alright to freeze the chili sauce instead of canning? I don’t have a pressure canner and it appears that you’re saying that a water bath is not preferable. I have never made anything like this before but just saw Hatch peppers at Homeland. We are New Mexico lovers and I can’t wait for a bit of NM here at home. Yes Alycia – it is perfectly fine to freeze the chili sauce. I got all my peppers at Homeland too! 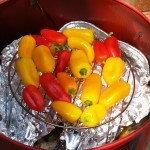 of those two boxes we roasted and canned 1 box and then put up whole peppers in gallon freezer bags – in the freezer too. I just took a bag out tonight and am going to make another recipe in the morning with them. It’s honestly easier for me to freeze the peppers and then roast them a few at a time. It can be overwhelming and if you wear contacts – take them out and put on your glasses! Thanks so much! I’m excited to try it out. Please let me know how it goes! Make sure you look at the boxes when in Homeland to see if they are medium or hot or extra hot and buy according to your family’s taste because hot is doggone hot! I loved this recipe. I made it and our house smelled like a Mexican Food Restaurant. I canned them in a water bath and they all sealed but them unsealed the next day. Do I have to use a pressure cooker? Yes, it should be fine just be sure to check the lid when you open each one to make sure it is sealed! Glad you liked it. Thanks for coming by and please come again! I checked with Extension here and they said it was fine. I use a pressure canner but Food Science is not my field of expertise and so I commented how I was told from our state’s trusted source – Home Extension. Thanks Amy for weighing in! Do you the amount and time for 6600 feet to pressure cook this recipe? No, I’m so sorry I don’t! You would probably have to look that up in your instruction manual or maybe the Internet? I wish I could help! 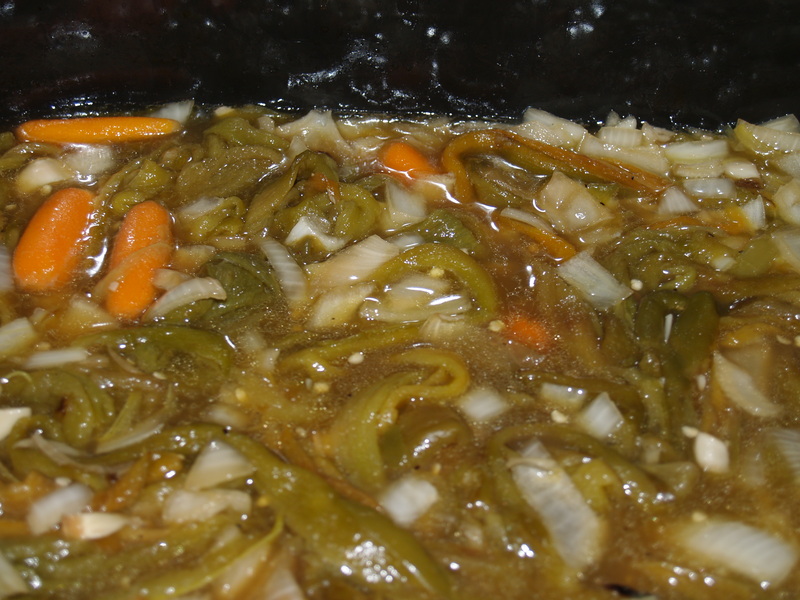 You can also roast & peel/seed/devein whole chiles & freeze them to use for chile rellenos later. There’s an easy oven bake version or you can stuff & make each one individually & top it, of course, with the green chile sauce! Thanks Christine! I really want to make some stuffed ones and freeze them for later use. Have you done it? do you have any tips or tricks? Please drop by anytime! I just bought a flat of Hatch chilies, grilled them on my gas grill till black, placed them in ziplock bags, and threw them in the freezer. I do this every year and it works great! 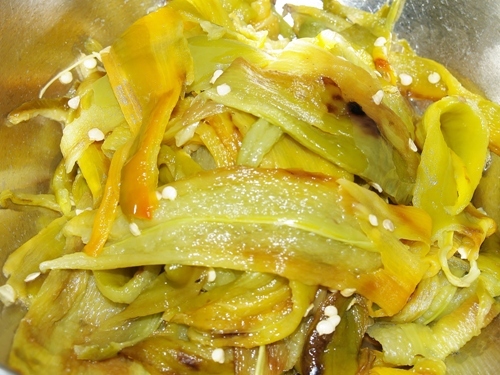 Just take from freezer, peel and deseed (I sometimes leave the seeds in), and they are ready to be used in any recipe. Hi Bev – thank you for dropping by and let me say, what a great idea! I love your idea and can’t wait to try it! 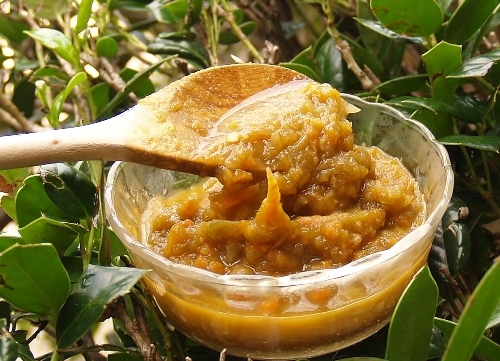 Absolutely wonderful recipe!!! 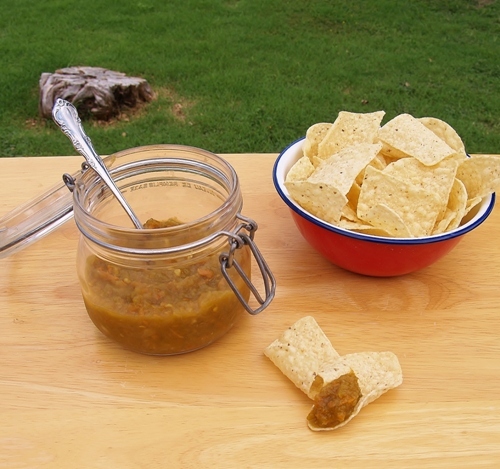 I’ve been looking for a green chili salsa recipe that I thought would come close to some I had in New Mexico. This came pretty close and was delicious. Thank you for sharing. I’m so very glad you liked it! We love it here as well! Kelli, these pictures are gorgeous!! I want to eat these chiles immediately, although possibly a milder version (I am a bit of a wuss)! I love that you did this project with your daughter, I dream of spending days cooking with my girls. Anna already likes to, help in the kitchen, so this dream just may come true. Hey Maggie! I’m so glad you liked them – You will have lots of days of cooking with your daughters and now with the hubs out of grad school and you settling down in a new place, you will begin doing that very soon! My grandest son (daughter and SIL) are staying with us right now because their place flooded and Rocket LOVES to help in the kitchen!! Hi Darcy! Thanks for dropping by and I surely don’t mind helping you out because trust me, someone helped me in the beginning too! Be sure to get you some gloves because those things will burn your skin, take out contacts if you wear them, and open a window if you can! Then, yes, roast them first, peel, then put them in the the roaster. You know what I found out this year? If you roast them, then throw them in a Ziploc bag and put them in the freezer. Then, at a more convenient time take them out of the freezer and let them thaw, put your gloves on and put a strainer in your sink then turn on the water (if you aren’t under water rationing) pick up one of the peppers, hold it under the running water with one hand – hold it up by the stem – then use the fingers on your other hand and run them down the pepper and I swear the skin slips off so easily!! Almost like peeling an egg. 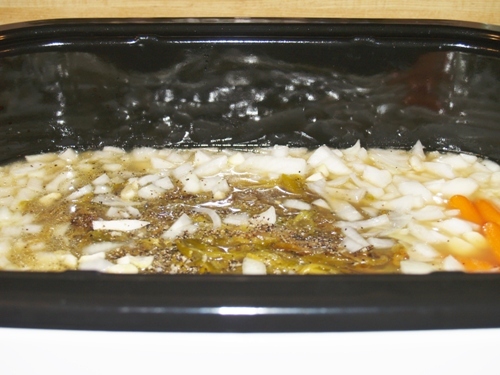 Then, when you put them in the roaster you can use water instead of broth anytime! You are going to love this stuff! if you have more questions, please feel free to ask~! 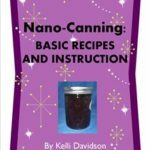 OK…i have been canning for years. mostly water bath canning and only green beans so far for pressure canning. I havent done MUCH research on pressure canning different things..but i know it all has to do with pressures and duration because of low acidity. BUT most of the stuff i have read about talks about never can FATS. butter, oil (or in your case i assume there is some fat in your duck stock). 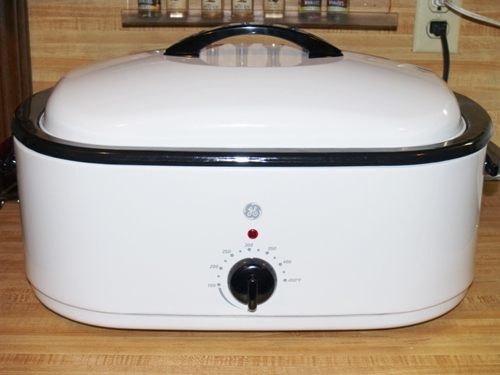 This may have been in relation to water bath canning and not pressure canning. Any way….obviously this hasnt been and issue for you?! do you know anything about fats being allowed in things you pressure can? like do’s and don’ts? maybe there is a website or something you know of that spells this out?! 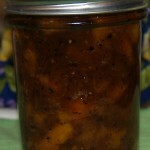 Hey Kristine:) Pressure canning is the bomb! I pressure can almost everything. It’s quicker and it uses less water. 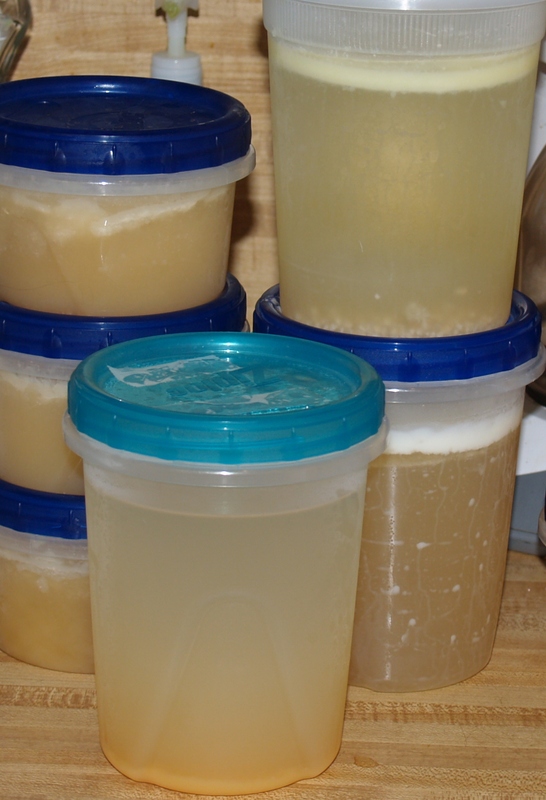 I pressure can homemade soups and stocks using beef and chicken and bones and everything. It’s ok if there is some fat used when making these items or if some fat remains after cooling and straining. I would guess the reason people worry about fat is that it can coat the edge of the jar and then it will not seal. When there is fat in the recipe I will carefully wipe the lip of the jar with boiling water and a clean paper towel. Then I get a new clean paper towel and put some vinegar on it. I wipe again with that. Then just to be safe I get a third towel and use hot water again. I’ve never had a batch not seal. 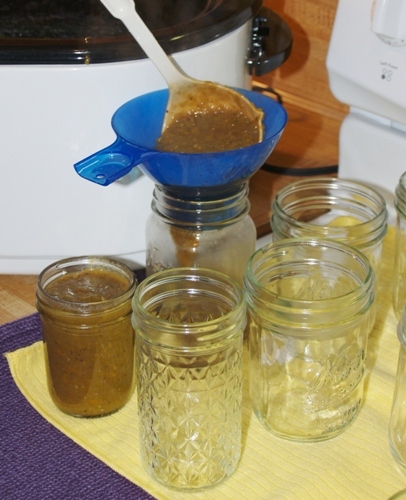 You just have to make sure the lip of your jars is completely grease free. I plan on using a recipe for canning my own tuna when it comes in season again and you know that has some fat in it. Perfectly safe in the pressure canner. Good luck. Oh wow! Thank you so much Kristine! I really appreciate it – luckily – my son is an attorney! I have a question. … if I omit the oil, and stock, can I can in a water bath? Also maybe subbing tomatoe juice for the stock? Thank you!! Hi Maria – I am unable to recommend that because of the USDA rules and people will get wild in the comments! All I can tell you is that if it were me and I wanted tomato instead of stock in mine – I would water bath it. Thanks for dropping by and please come again! So, Kel, I’m finally getting to this. Since I don’t pressure cook, could I freeze this? Yep – just as easy as Pie then! They will keep for a year or more!